Things sure seem to be moving fast these days. You know the feeling, right? That familiar sense that technology is quickly rocketing us into strange, new futures? Well, as it turns out, the automotive industry is no exception. Speaking at the Intelligent Transport System World Congress held in Detroit, according to Bloomberg, General Motors CEO Mary Barra revealed auto-driving cars are coming, in "about two years." Another way of saying it — you have about two years to prepare for the landscape of American freeway driving to change in a big way. 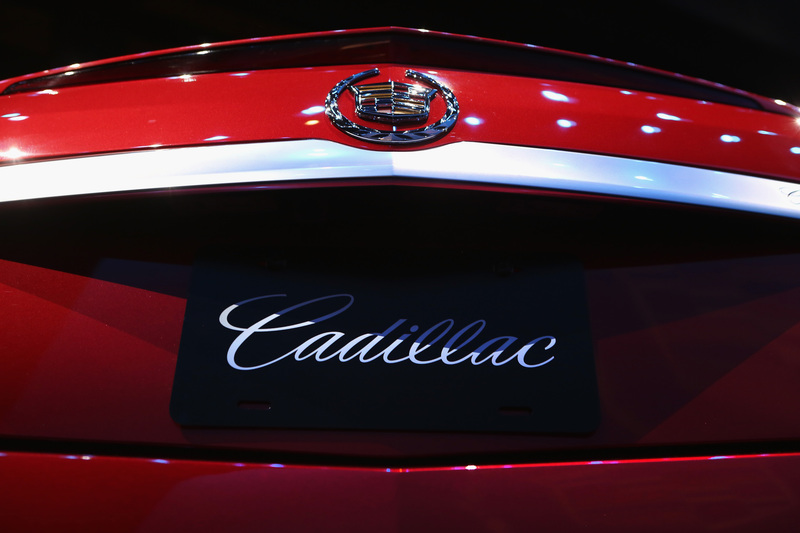 She obviously didn't go into too much detail about the new technologies, but CNN Money reports that the first car to be outfitted with the new systems will be the 2017 edition of the Cadillac CTS. The high-tech Cadillac would boast features to allow your car to navigate safely — in particular, cutting-edge vehicle-to-vehicle communication. What that means in real terms is hard exactly to explain, in all honesty, as I'm no engineer, and the technology isn't even open for public use or assessment yet — as Bloomberg details, Mercedes-Benz has offered a similar function on some of their cars, though theirs is less ambitious, only working at slower speeds. But Barra is talking this up as a means to cruise down the freeway at a rapid pace, and let the automated systems help improve efficiency, safety, and reduce traffic congestion at the same time. Of course, the safety issue will loom large as the rollout approaches. Not to be a scare-monger, by any means, but there's something a little inherently unsettling about the idea of the functions of our cars increasingly being made automatic. But that gut-reaction feeling, that you'd be less safe with car calling some of the shots for you, could vanish easily enough if the things Barra's promising do come true. Driving remains one of the most dangerous things human beings do on a day-to-day basis — as The Seattle Times reported, the decade from 2000 to 2010 saw an average of 41,000 Americans per year killed in car accidents. If getting a helping hand from our vehicles themselves can make it a little less so, there'll be no shortage of credit to go around. And it would be a particular boon to GM's reputation, in light of the safety scandal that's plagued the company in recent months. They were fined $3.5 million for a large-scale recall of a flawed ignition switch present in about 2.5 million of their cars for a decade, according to The Guardian. The fault resulted in airbags failing to deploy, and 13 deaths were linked to such incidents. GM isn't the only car company that's been mulling these kinds of advancements in recent years. As CNN Money details, Nissan, Mercedes-Benz and even Google have been working towards the same end, a fact which has given rise to some state-level legislation regulating self-driving cars. To be clear, truly, fully-fledged self-driving cars are still a ways off — Barra estimated about ten years. But regardless of how long it takes, and whatever new legal frameworks need to be constructed, this much is becoming obvious: self-driving cars are on the way, so you'd better get ready.